When we think of our children, we want to experience nothing but happy thoughts. 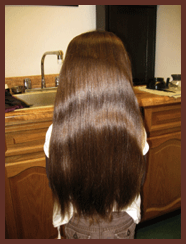 Unfortunately, there are nearly 2 million children suffering from some sort of hair loss in the United States. 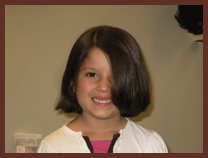 Luckily, about 60% of all children that suffer from some sort of hair loss will "outgrow" the condition. As a parent dealing with a child with hair loss, it is one of the most helpless feelings in the world. You want to fix it and make it better for your child. There is a desperation and a surge of emotions to contend with. All of us at Monique’s Salon understand all of those feelings and we are here to help! We help your child be a child! 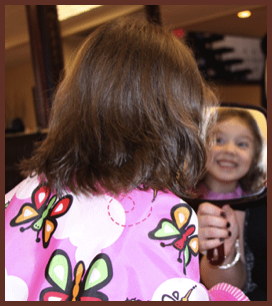 Monique’s Salon prides itself on our devotion to helping children and their families when a child is suffering. When children lose their hair, whether as a result of medical treatments, health conditions, or burn accidents, they don't just suffer physically. The change in their appearance can drastically undermine their self-image and sabotage their self-esteem. Monique’s Salon can give these children the chance to feel good about themselves again. 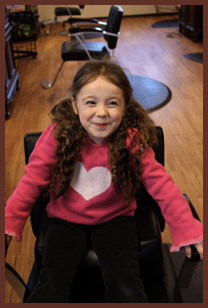 We have so many options available for each and every child that enters our salons. With our talented hair replacements professionals, you can rest assured that we treat each and every child like they are our own! We offer durable and long lasting wigs and hair pieces, that allow children to truly be children. They can swim, play, hang from trees, and feel like themselves again! Some of our local children who have donated their hair to help other children! When accepting a donation, we need to cut each donation through various ponytails. It helps the manufacturers and factory to use all of the hair. Monique’s Salon gladly accepts all forms of hair donations. All hair we receive stays with our local children. 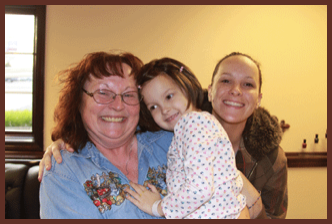 We work with Treasured Locks For Children to make sure our kids get what they need NOW! We also offer mini manicures and pedicures for all of our children! She was excited before her hair donation! She was even more exited after the hair donation! Children....Helping them everyday, regardless of their needs! 1. 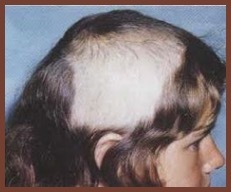 Alopecia - Alopecia is an auto immune disease that effects people worldwide. Alopecia Areata is patchy hair loss. Alopecia Totalis presents itself as total hair loss on the entire scalp. Alopecia Universalis is the rarest form of alopecia and it affects hair over the entire body and scalp. Traction Alopecia or physical damage to the hair is a gradual hair loss caused by a pulling force on the hair. 2. Trichotilomania - A disease causing the compulsion to pull one's own hair out. 3. 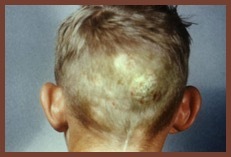 Tinea Capitis - A fungal infection on the scalp, also known as ringworm of the scalp. 4. Telogen Efflueveum - A massive hair loss as a result of early entry of hairs into the telogen phase. Emotional or physiological stressful events may result in an alteration of the normal hair cycle. It may be due to a variety of causes, eating disorders, fever, childbirth, chronic illness, major surgery, anemia, severe emotional disorders, crash diets, hypothyroidism, and drugs. 5. Cancer, Chemotherapy and Radiation - Hair loss will result as a side effect of certain medical treatments. Serving the Seattle and Spokane areas. Phone: 509-951-7669.